Our focus is narrow. 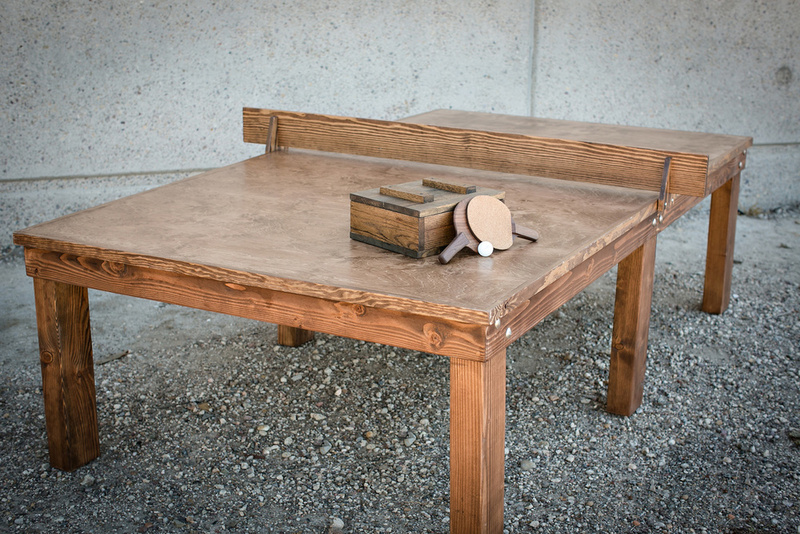 We aim to hand-craft intelligent table tennis furniture and accessories for our clients. The Polite Model 2 Table is a premium hand-made performance table. The table top features 100 year old oak accents combined with a seriously well-mounted 2" thick Baltic Birch top for the perfect playing surface. The table support structure is crafted with antique and reclaimed fir and poplar wood for a refined, yet rustic feel. For pricing information or to order your Polite Model 2 Table, please call us at (323) 451-9399 or use the contact form located on our Contact page. One of the Founders will arrange the next steps for your table order. At Polite Table Tennis Co., we take pride in the finish quality and construction of our furniture. All of our furniture is inspected before it leaves the factory. Because each order is custom and made to-order, our custom furniture is non-cancellable, non-returnable and non-refundable with the exception of manufacturer defects or damages. Copyright © Polite Table Tennis Co. 2017. All Rights Reserved.